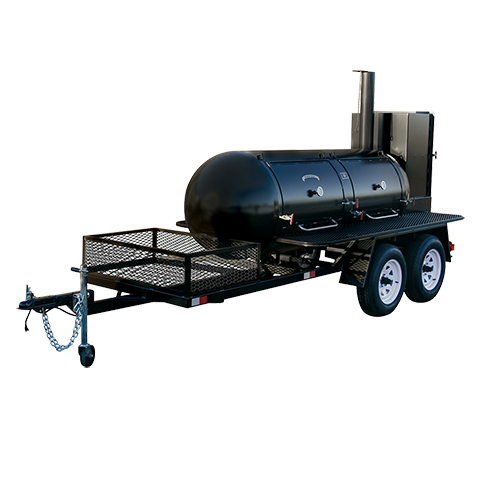 This Meadow Creek TS500 smoker trailer ensures low temperature and slow cooking time to allow flavor to develop in a natural, delicious way. The result is the most tender and juicy meat, every time.The body is constructed from 13 gauge welded steel that is coated with a heat resistant matte black paint. 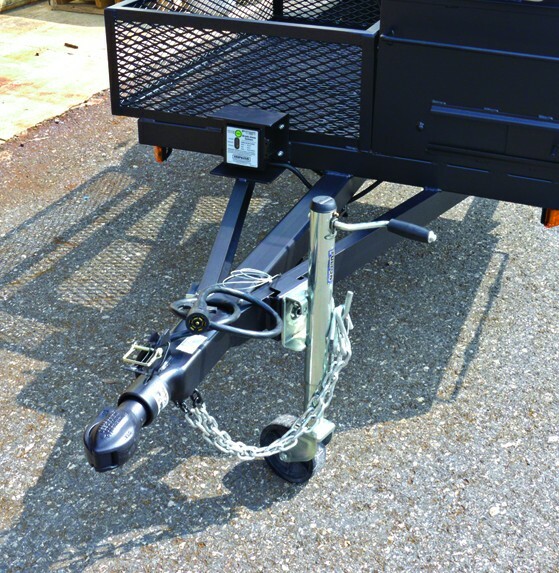 The two over sized wheels make moving this grill trailer simple. 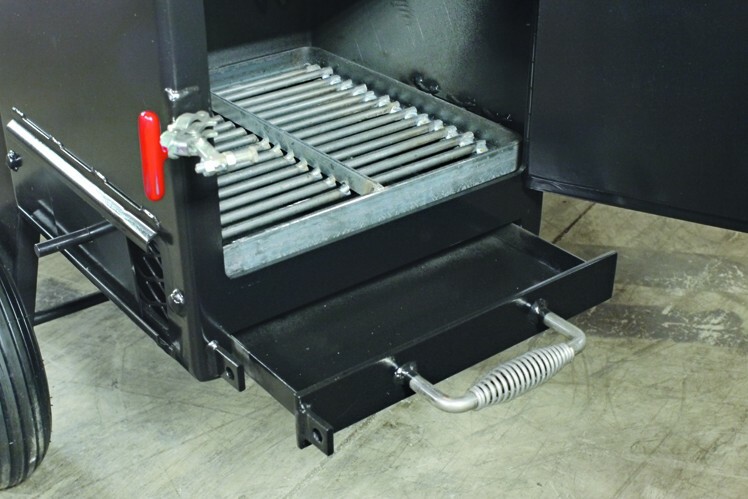 It's 30" x 33" on 2 and 34" x 34" on 4, 304 stainless steel grates provide more cooking space and can hold up more BBQ that you and your whole party can enjoy. Indirect heat comes from slowly burning wood or charcoal in the firebox. An ash pan and heavy door with positive latches make the process easy. When considering which tank type smoker to purchase, make sure to do your homework. 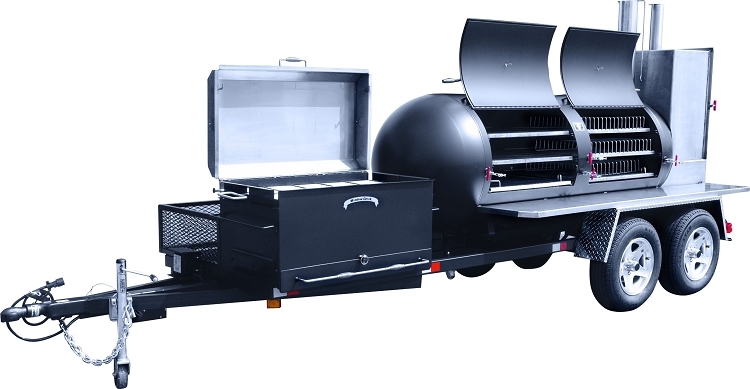 Compare the competition’s features with a Meadow Creek unit.Included in all smokers built by Meadow Creek are a collection of the best features the industry has to offer. 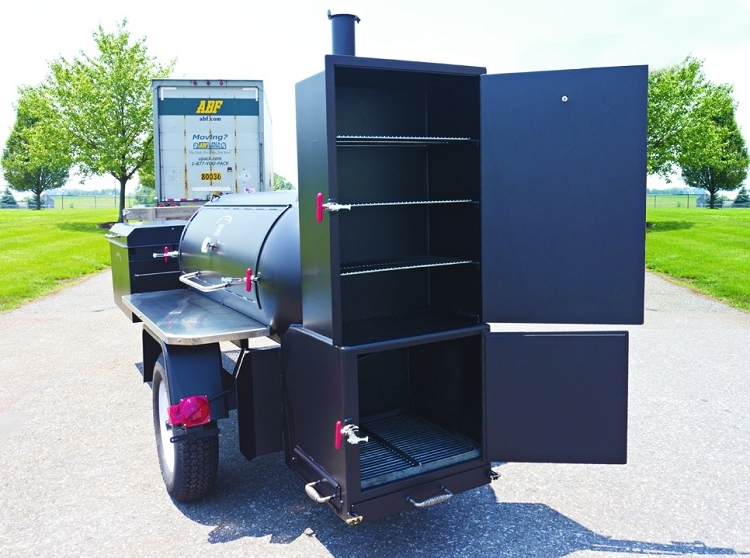 Many of the features that are standard in our smokers are either not available from our competitors or are only available as expensive upgrades. Since 2005 the Meadow Creek TS Series smokers have performed beyond our expectations and we believe they are worthy of your consideration. Dare to compare!